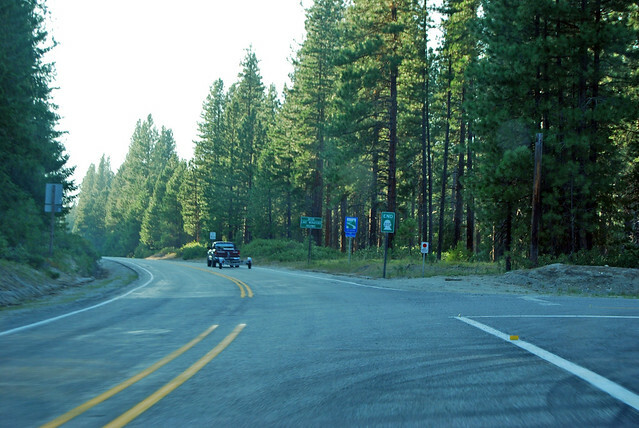 On Saturday, August 11, 2012, we drove the short and fairly busy Washington State Route 207. 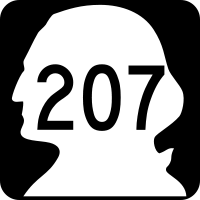 Along US Highway 2 between Leavenworth and Stevens Pass begins State Route 207. 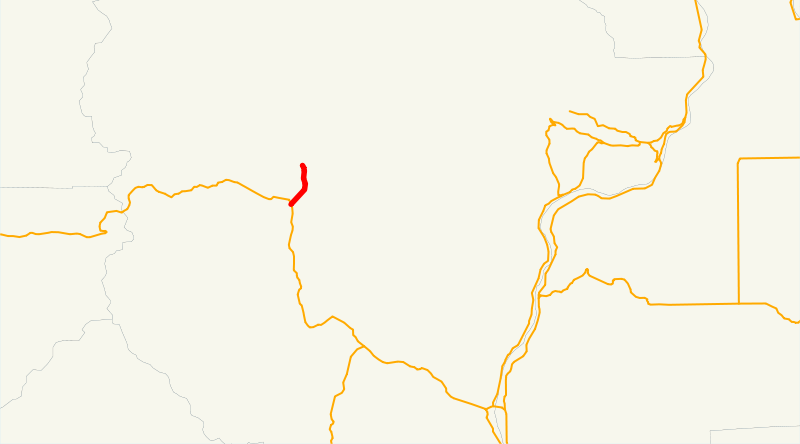 Curiously, this is also a pass between the Nason Creek drainage and the Skinney Creek drainage, which both flow into the Wenatchee River. It's all flat valley bottom with ridges around, however, so it's hard to guess which way the water's flowing. We head northeast, downstream along Nason Creek. After a couple miles of mainly forest, we reach the halfway point. Thus this photo of the open highway. 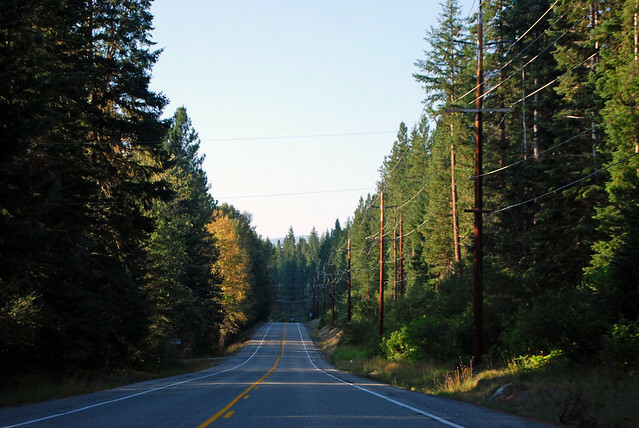 After another mile, we pass the entrance to Lake Wenatchee State Park, then the junction with the old SR 209, now just a county road, which will take you to "Plain Leavenworth" as opposed to the fancy Bavarian one... Oh? You say Plain is a separate town? Well, I'll be. 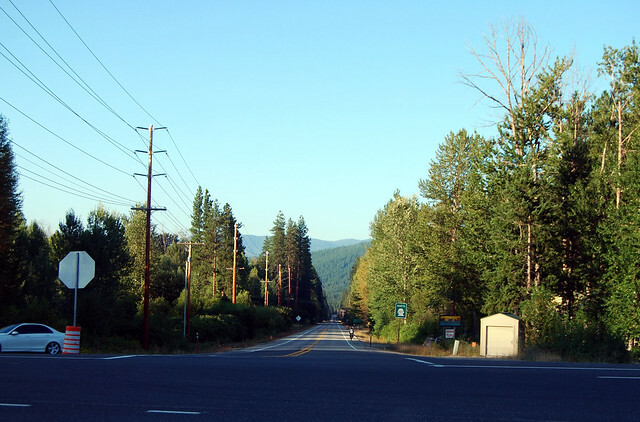 Shortly we cross the Wenatchee River and reach the end of SR 207 at the above-depicted intersection with Chiwawa Loop Road. 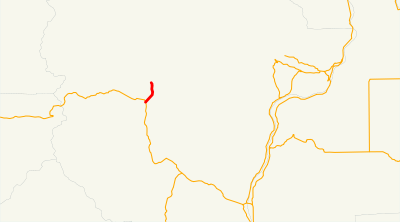 On a hot summer's day, this road has plenty of traffic (for a dead-end highway in the mountains, that is). Later in the year, I'm guessing it's a bit quieter... until snowmobiling season kicks in.